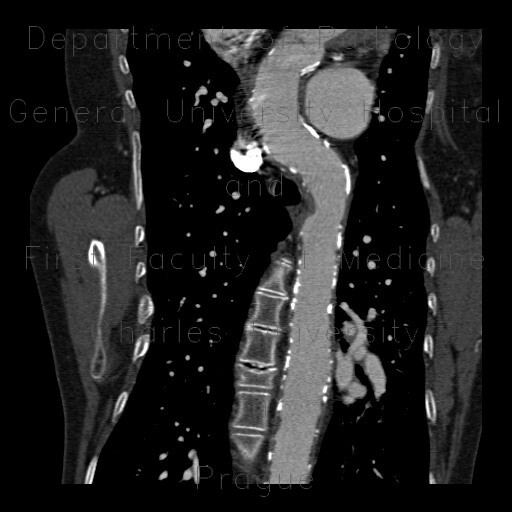 This CT was requested to show arterial involvement in a patient with proven Takayashu arteritis. It shows markedly thickened aortic wall and tubular stenoses of the arteries branching from the aorta. Massive dilation of the pulmonary trunk due to stenoses of pulmonary arteries. However, the picture is mixed with concurrent involvement of the arteries by atherosclerosis.